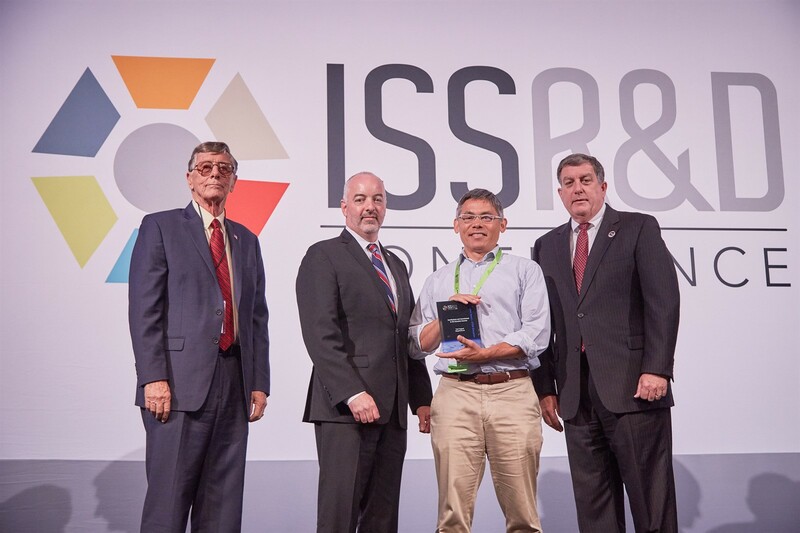 Mark Fernandez and John Kichury of Hewlett Packard Enterprise accept the the 2018 International Space Station Innovation Award in Technology Development and Demonstration on behalf of the Hewlett Packard Enterprise team. 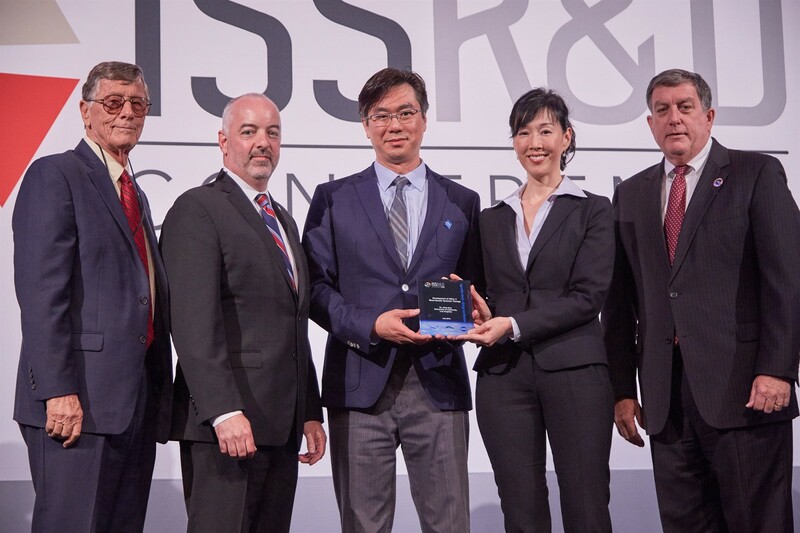 A team from Hewlett Packard Enterprise received the 2018 International Space Station (ISS) Innovation Award in Technology Development and Demonstration at the ISS R&D Conference last week for their work on the Spaceborne Computer. Team members include Eng Lim Goh, Mark Fernandez, David Petersen, John Kichury, Robert Behringer, Mike Scott, and Calandra Szulgit. The Spaceborne Computer, which launched on SpaceX CRS-12, is the first long-term demonstration onboard the ISS of supercomputing capabilities from a commercial off-the-shelf computer system. The Spaceborne Computer is being operated onboard the space station for one year while the research team monitors its power consumption and performance. The ability of supercomputers to perform autonomous operations could provide many potential benefits for advancing research on the ISS. Space is a challenging environment for supercomputing because of its harsh conditions, including extreme temperatures and radiation exposure. An added challenge of bringing supercomputing to the ISS is that hardware must not only be durable but must also be lightweight. 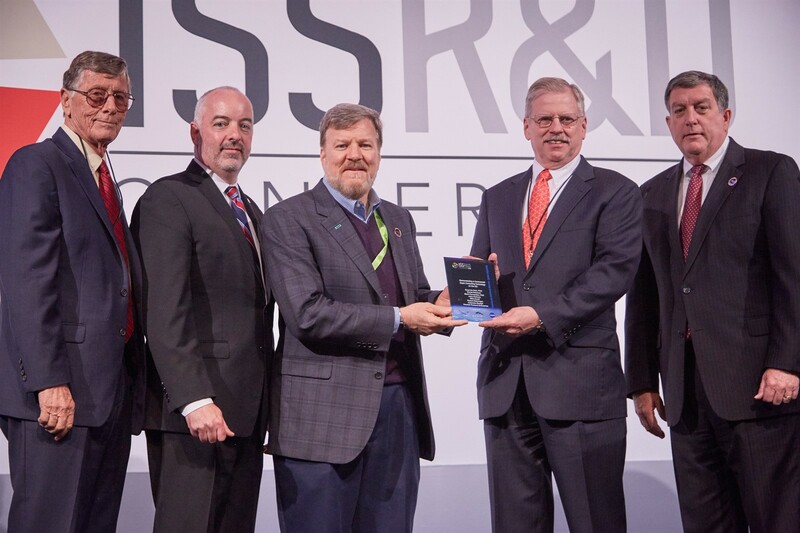 To overcome these challenges, Hewlett Packard Enterprise developed a software-hardening process that protects hardware from the harsh conditions of space. During a high-radiation event, the software maintains hardware operation by lowering the computer’s power and thus speed. Traditional radiation-tolerant hardware is heavy and cannot achieve the same computing power as current supercomputers. However, the use of software to protect hardware results in a space-ready supercomputer that is both light and robust. The Spaceborne Computer has been successfully operating on the ISS since September 2017 and is achieving more than one trillion calculations per second! That’s up to 30 times faster than a typical laptop and comparable to supercomputers on the ground. Radiation-resistant supercomputers are beneficial in space, but such computers also have the potential to improve computing on Earth. Radiation bursts from solar flares can negatively impact computing on Earth for devices such as cellular towers and air traffic monitoring systems. Hewlett Packard Enterprise’s research on the ISS could lead to software to mitigate the impacts of radiation from solar flares on these ground-based computing systems.